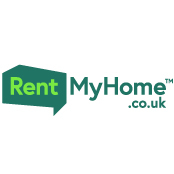 RentMyHome.co.uk is the UK's Most Trusted Online Lettings Agent, rated 9.9 on Trustpilot. Because we don't operate expensive high-street branches, our ARLA-qualified experts are able to save landlords £2,800 on average compared to traditional agency fees. We also work faster, listing 70 new properties on Rightmove and Zoopla every week, and we're more responsive, answering 97% of all customer calls first time, six days a week. Our hassle-free property management service covers everything you’ll need from guaranteeing your rent to maintenance and repairs. Our landlords aren't tied to any hidden fees, they only pay for what they need. Additional services are available on top. Rent from as little as £25! A Full Management service is available at 6%, this is 2 months free if switching agents. The UK's No.1 Rated Online Lettings Agent. We save our customers over £2,000, compared with High Street agents. Our rental properties let within 7 days of listing, on average. A Full Management package is available, making it hassle-free at 6%. Professional Photos & Floorplans available. We'll list your property on Rightmove, Zoopla & PrimeLocation and more.